To edit an event in the LibCal trades calendar, click on the Edit the Ask A Trades Calendar link in the Libguide. Then double-click on the event you want to edit. 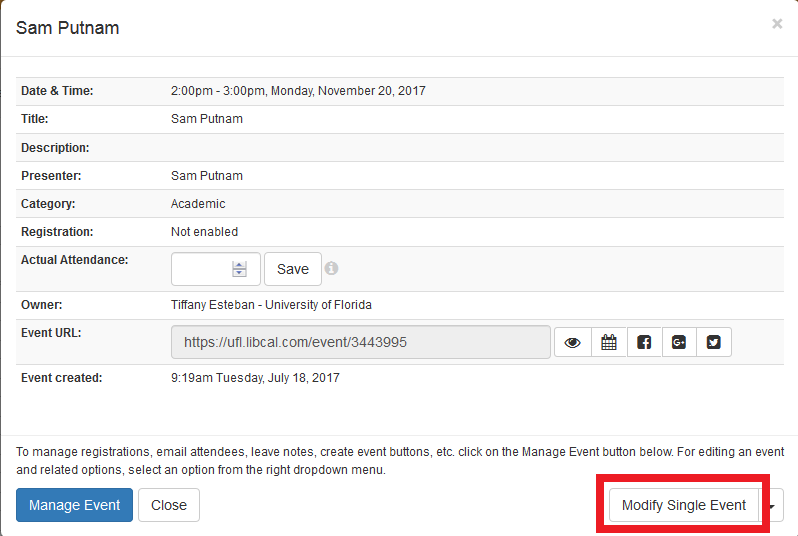 When prompted, select Modify Single Event. 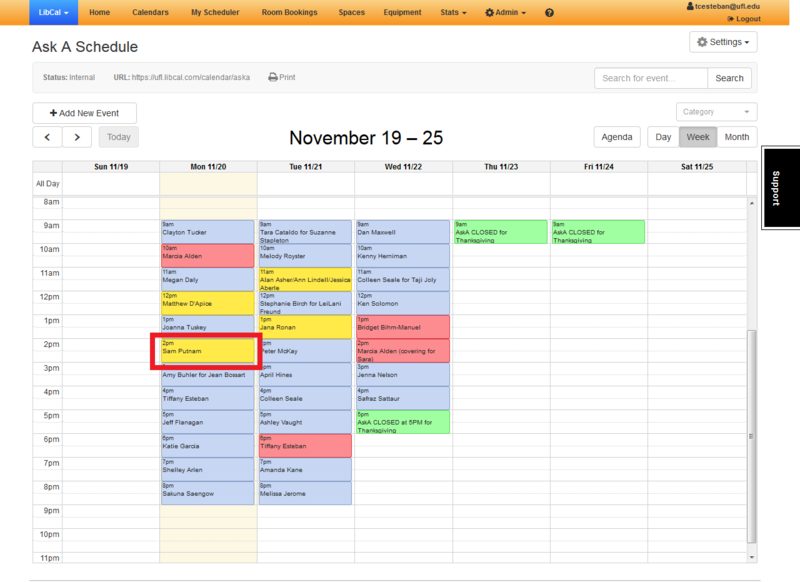 Under the Title & Event Info header, edit the Event Title with your name and the name of the person you are covering the shift for. For example, "Tiffany Esteban for Sam Putnam" or "Tiffany Esteban (covering for Sam Putnam)". Editing the Event Title in this way helps everyone know about the staffing situation, just in case schedule changes need to be made later. When the Event Title has been changed, scroll to the bottom and click the blue Submit: Update Event button under the Publishing Status header. You have successfully edited the Ask A calendar!